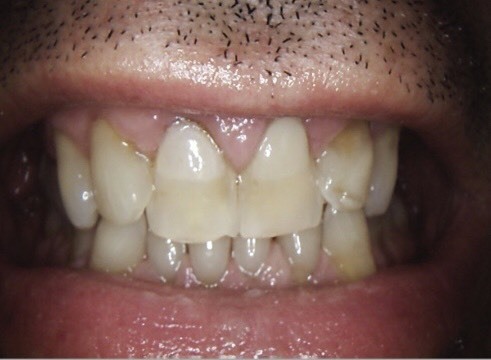 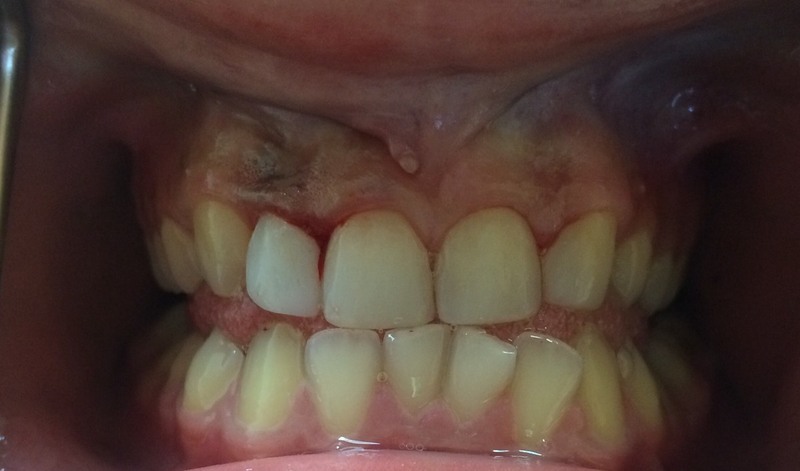 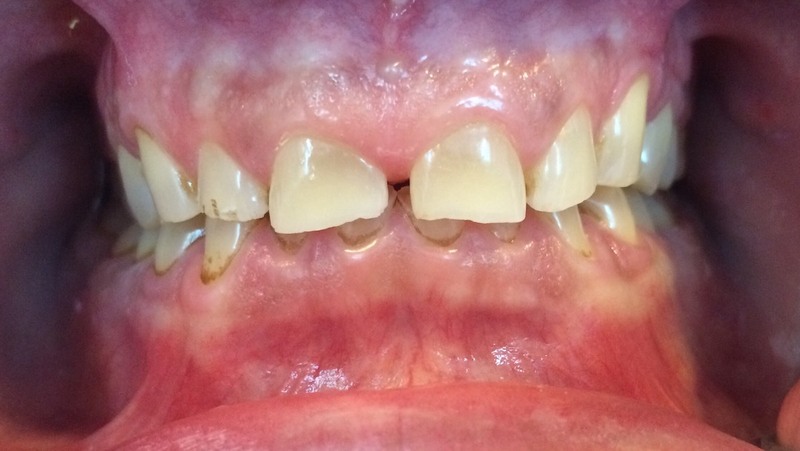 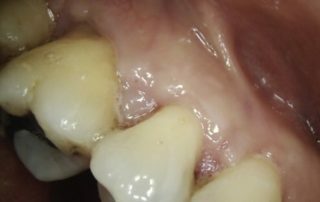 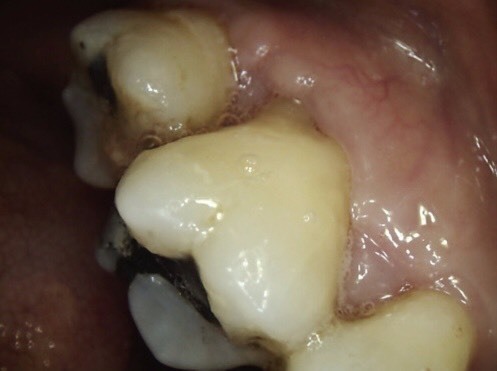 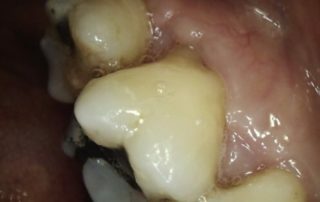 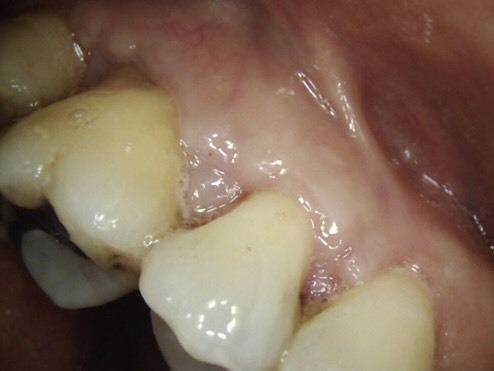 Before: Patient had short dark crown done by a San Mateo dentist 6 years ago. 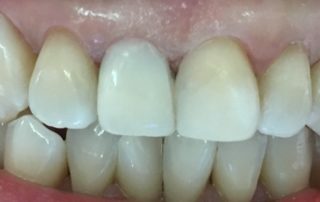 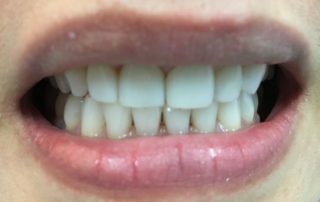 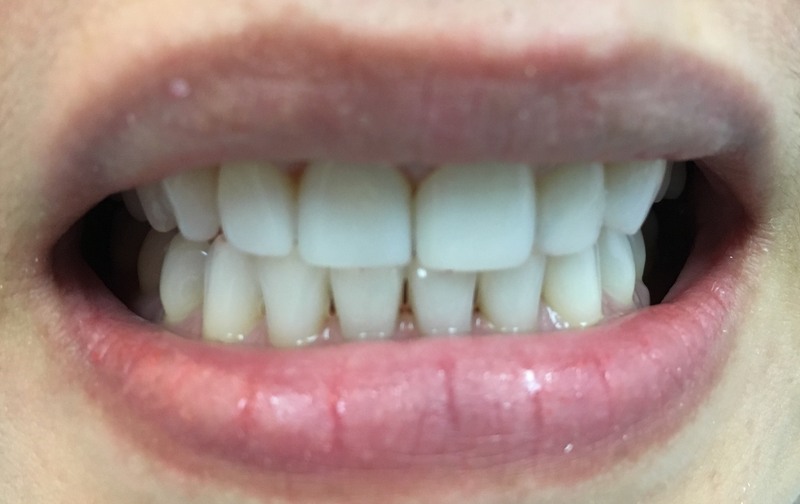 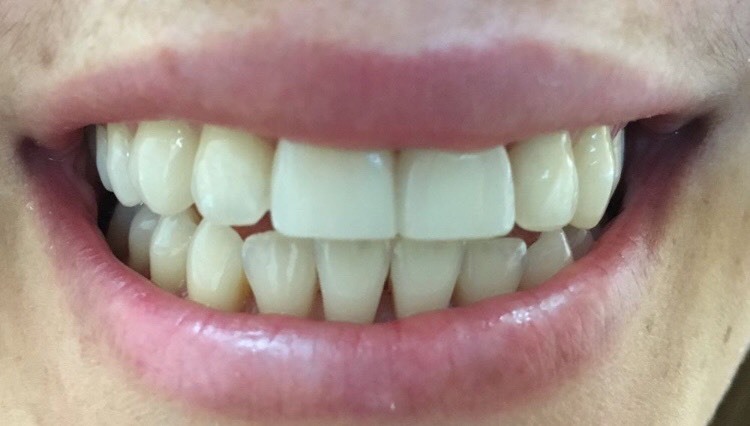 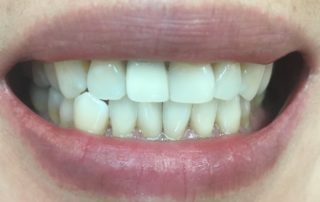 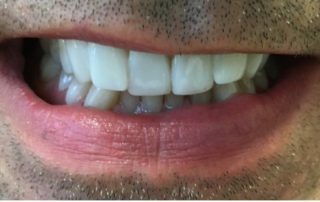 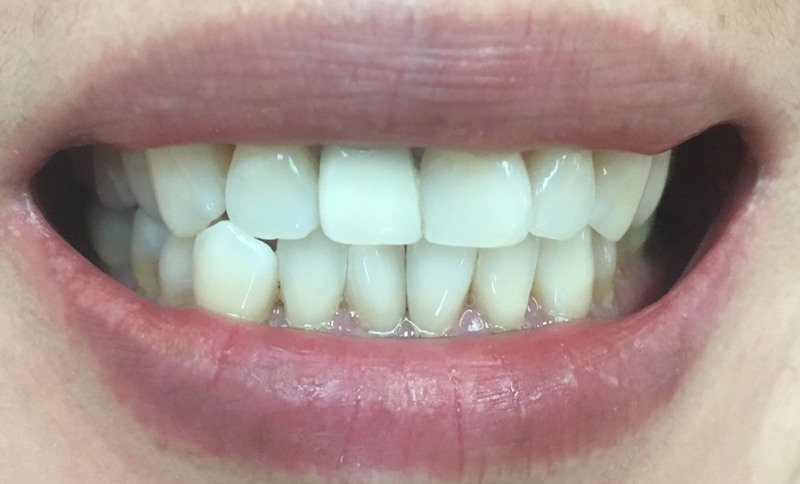 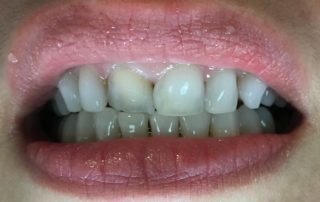 After 1.5 hours in One Visit, composite veneer was bonded on the dark crown, no tooth removal, and simple filling in One Visit. 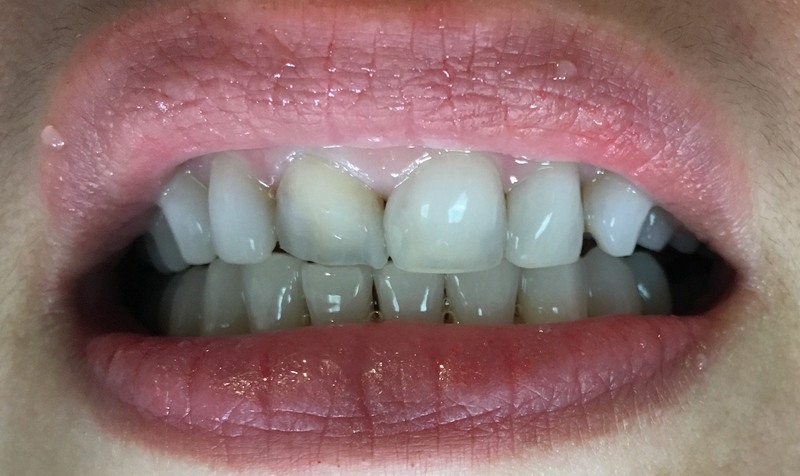 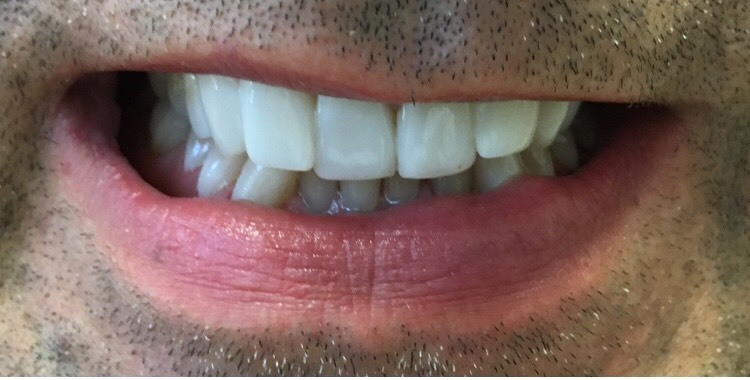 Before Right after composite fillings in 2 hours on the same visit. 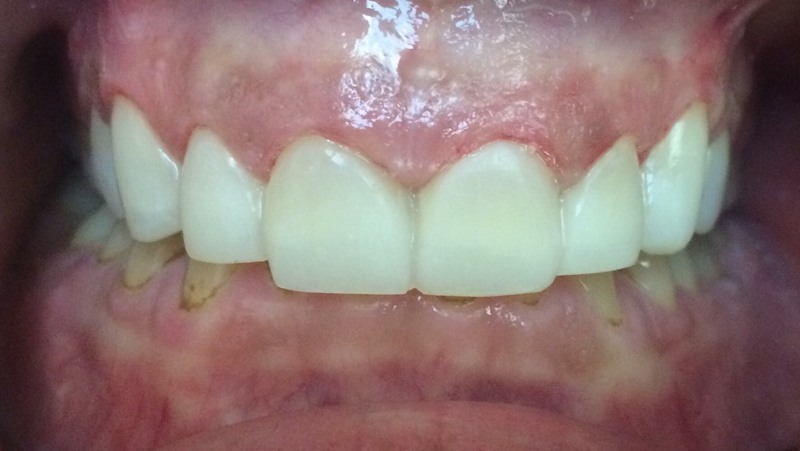 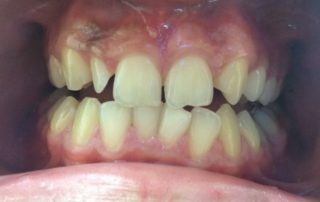 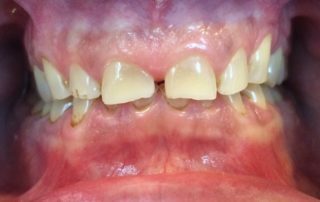 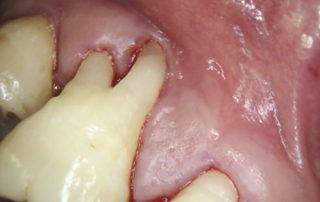 Before: Patient broke her tooth on Thanksgiving Day eating pumpkin pie. 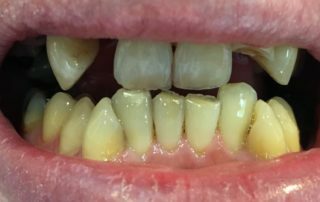 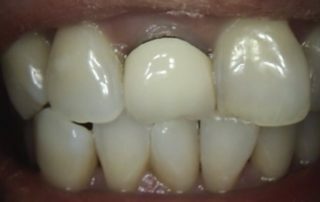 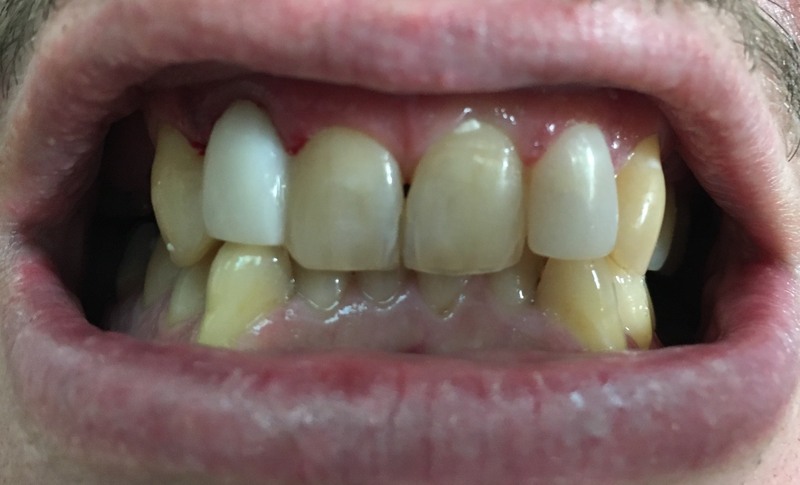 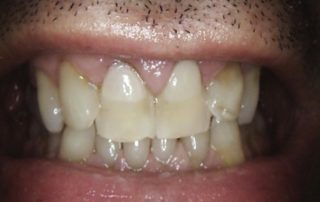 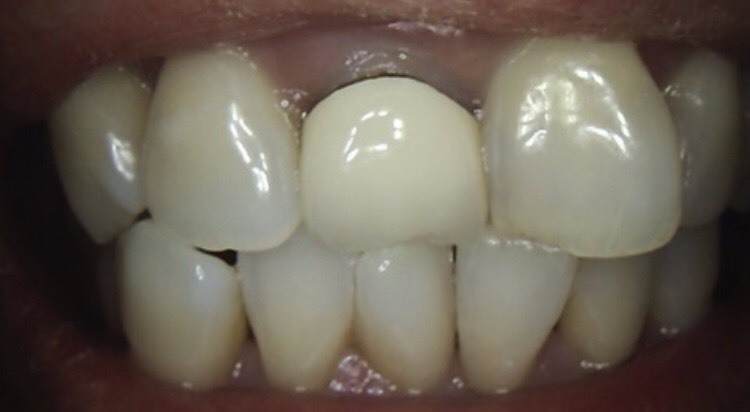 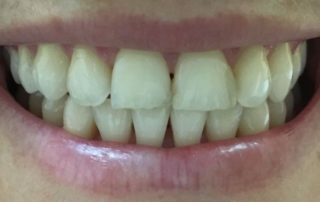 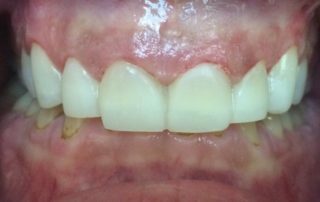 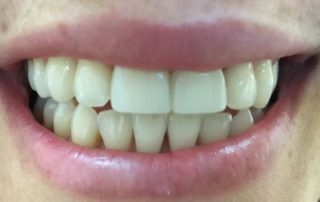 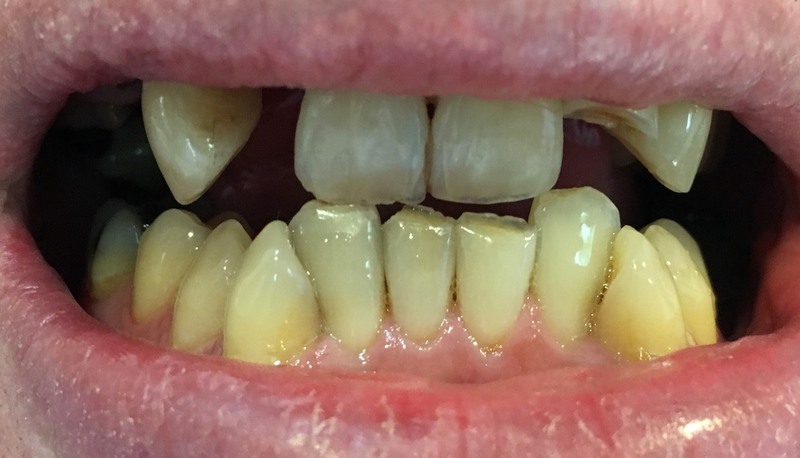 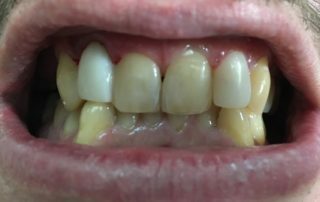 After 2 hours in the same visit, four teeth were restored with composite white veneers with no tooth structure removed. 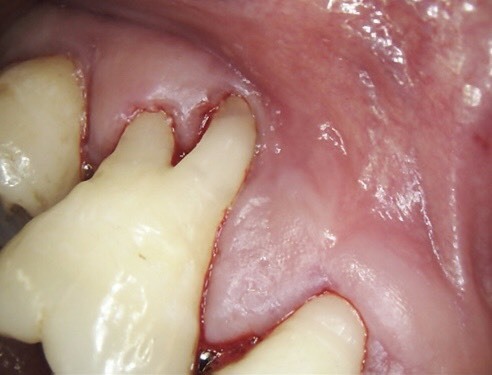 Patient is very happy.